Wireless technologies have recently moved far enough. 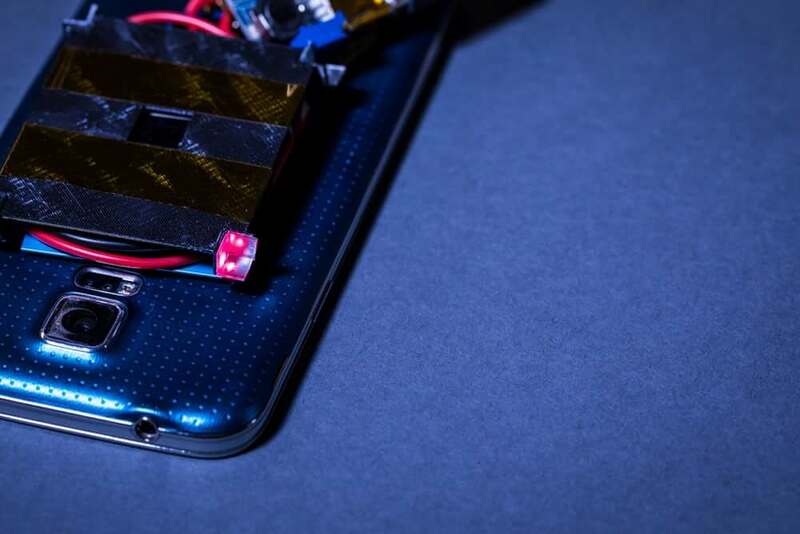 If still some 15 years ago, the infrared port was used for data transmission (which it was necessary to keep almost to the transmitter, otherwise, alas, nothing will happen), now thanks to Wi-Fi and Bluetooth we almost forgot about the wires in our smartphones. The last stronghold of the “wired era” is the charger, which has not changed, probably since the creation of cell phones. And even supposedly wireless charging requires you to bring the device directly to the charger, which is very similar to data transfer via the infrared port. But experts from the University of Washington showed that nothing is impossible, and managed to charge the smartphone from a distance of 4 meters. The laser itself is also quite cunning: around the beam is a perimeter of four “safety rays”, which are reflected from the special surface around the battery. If someone or something crosses the beam, the fuses are first touched, which instantly interrupts the signal transmission, and the laser (even though it is not particularly harmful) can not cause any inconvenience. When the obstacle disappears – the system continues its work. Well, one more thing concerns the thermal energy emitted by the laser. To dissipate it on batteries it will be necessary to install a radiator. Although scientists argue that some of this energy can be collected by a thermoelectric generator and immediately put on additional battery power. In the future, according to scientists, charging can be carried out from a distance of up to 12 meters.